Beset by brigands, the wanderer drew her sword. Partway through the bout, she changed her grip and drew her hands apart, each now holding an identical black blade. Wielding the Deadly Duo Ninja Swords two-handed, she defeated her foes. This fearsome set of twin blades can work together, using magnets in the handle to mimic a single sword with a round handle and octagonal guard. 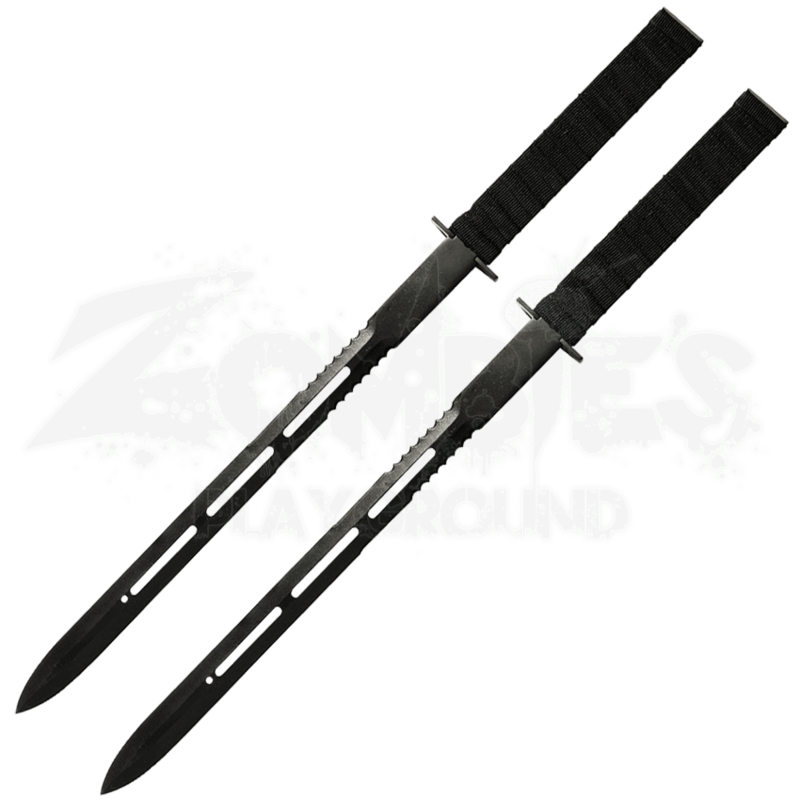 If you prefer to fight two handed you can separate the black stainless steel blades and have identical ninja swords with double edges. The collectible swords display slot cutouts and serration on a portion of the blades. The handles are wrapped in black strapping. A nylon sheath with adjustable shoulder strap is included. 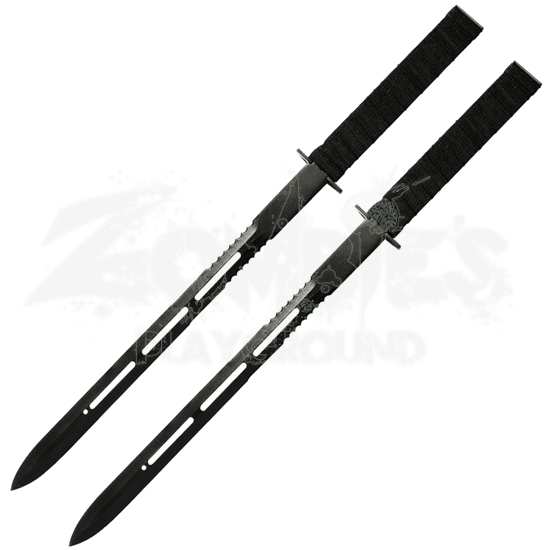 Be sure to bring the Deadly Duo Ninja Swords on your next adventure.